Discover how to naturally lose weight fast. As you can see, now many people are looking for losing weight quickly and naturally. Step into a bookstore, and you can find just about any kind of weight loss program, from low-carb program to vegetarian. Though herbal supplements are booming, aromatherapy can still contribute in losing those extra pounds. And people love to use it. Before we go any further, one thing you should remember is that there is no single miracle aromatherapy for weight loss product that will magically “make those extra pounds disappeared”, just like there is no “lose weight quickly” product or fast weight loss spell that will do that for you, either. It is important to know how aromatherapy works in order to understand why this is so. Some of you may still be in doubt – Is it really possible to lose weight fast using aromatherapy? Well, some new studies have shown that aromatherapy for weight loss can be done! Aromatherapy can help reduce the emotional issues surrounding weight and certain scents have been shown to help control appetite. The connection between smell and appetite are thought to be extremely close. A study at St. George's Hospital in London, tested a skin aroma patch that released the aroma of vanilla to help reduce cravings for chocolate and other high-calorie sweet foods and drinks. The participants lost an average of 4.5 pounds in 4 weeks. This same study also suggested that you can use vanilla scented candles to produce the same results. The methodology in using these essential oils as an intervention for weight management is to inhale the aroma right-off of the bottle itself. According to Dr. Hirsch you must inhale it directly but not with both nostrils. You need to close one other nostril while doing this. It is advised to take three slow and deep breaths. After this is done, take a short break and then repeat the same procedure for the 2nd time. The least frequency you can do this procedure in a day is three times. Whenever you feel the craving for food you can just repeat the procedure as needed. A variety of essential oils (up to three kinds) may be needed as you move around for the day. It is important to understand that your body will want to be sated with different types of food material and with a variety of essential oils to smell you may be able to curb the cravings like a varied diet. Aromatherapy for Weight Loss: How it works? Aromatherapy works on our olfactory system, Take a deep breath of bread fresh- from-the-oven or pizza that smell will trigger positive reactions in the brain, causing us to feel hungry. Pure organic essential oils are used to balance your appetite, as well as help relieve food cravings, enhance your digestion and metabolism and burn excess fat! The method is: you use the scent of essential oils to fool your brain into thinking that you've eaten more and thus you eat less. You can eat whatever you want to eat. You eat whatever you normally would eat. You'll feel full faster, you'll eat less. Now if you have ever tried a regular diet then you will know how hard it can be without using aromatherapy! 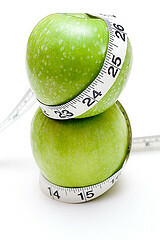 For weight loss management plans it is important to understand that there is no quick fix. Also it is important to know that the use of the essential oil will not solely solve the problem itself instead we need to know how it aids in making weight loss possible. Grapefruit and lemon are essential oil that has been believed to help in increasing the rate of metabolism. There are source that indicates lemon is an appetite enhancer while there are other stating otherwise. Lemon is also believed to be effective in curbing the craving for sweets. The citrus essential oil types (Orange , Lemon) are notably effective and are recommended for helping control food cravings. For people suffering from emotional stress that is causing them to eat more, bergamot is the best essential oil to use for the much need calming effect. Grapefruit essential oil is the most common oil that is used in aromatherapy for weight loss program. It has a bright, crisp aroma and has ability to control sweet cravings. Grapefruit on the other hand may help in controlling your appetite and it is also recommended for treating eating disorders and overweight or obesity issues. You don't really need a blend to start, you can put a drop on the tip of your tongue, or use a pocket diffuser. Inhale this essential oil before eating. The aroma will send signals to the brain to suppress the appetite and to stop snacking. Other essential oils are very useful in weight loss like Lavender, peppermint and Fennel. Properly administered essential oils are a natural, safe and effective way to enhance your health and well-being. Please be sure to check guidelines before using aromatherapy. And always using pure organic essential oils for best therapeutic results! Aromatherapy for Weight Loss: Making the blends..
To people who has been using essential oils it is inevitable to develop a sense of affinity to the chosen scent and that you will want to wear it as your own personal scent like perfumes or lotions. Note that an amount of 5-10 drops of any essential oil or blend must be diluted in one and a half tablespoon of carrier oil for topical application as a lotion. For perfumes you may have to dilute the essential oil or blend in alcohol or distilled water. Stress makes us Fat! - Stress and anxiety are two of the biggest diet killers. They can both cause you to overeat, drink alcohol, or crave sweets. Discover how aromatherapy can help with that problem. Essential oils for Cellulite - Essential oil for cellulite is a best treatment for overcoming the cellulite problem. Guide on reducing cellulite, information about using essential oils and aromatherapy for cellulite. Aromatherapy and Exercise. - Turn on the music! and fill the air with aromatic scents. Now you are ready to thrown away those fat. Find out what essential oils can lift up your energy. Weight Loss through Hypnosis. - Change the way your subconscious mind looks at food through hypnosis. No matter how old you are and what weight loss program do you take, aromatherapy can be the best dieting partner that you will ever have. Set your goals and you are ready to begin. Good Luck!